This is from the Costco APRIL/MAY 2019 Coupon Book (4/17/19 – 5/12/19). 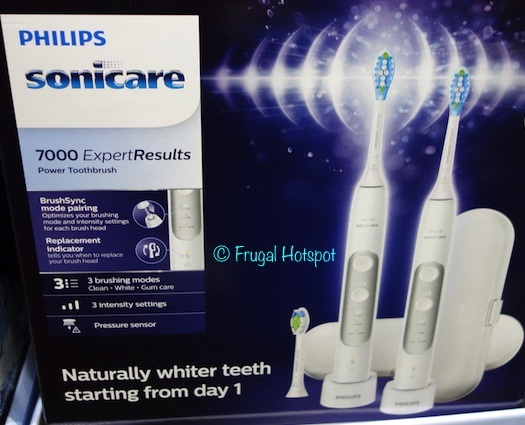 Powerful sonic vibrations whip up your toothpaste into plaque fighting bubbles with 62,000 gentle but effective brush movements. 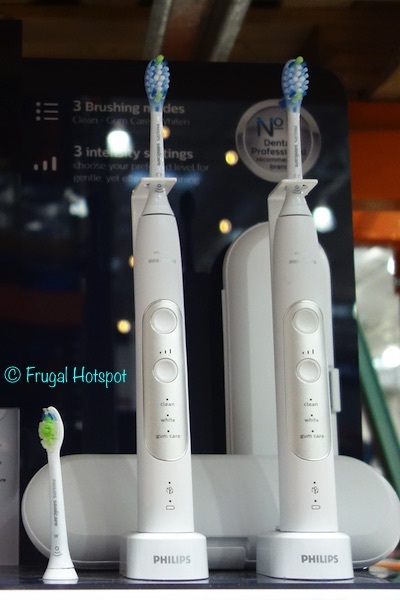 Select Costco locations have the Philips Sonicare 7000 ExpertResults Power Toothbrush 2-Pack on sale for $109.99 (after instant savings), from April 17, 2019 through May 12, 2019. That is $40 off Costco’s regular price of $149.99. While supplies last. Price, participation, and sales dates may vary by location. This product was spotted at the Covington, Washington Costco. It may not be available everywhere. Item #2952050. Price and participation may vary so it may not be available at your local Costco or it may not be on sale at your local Costco or it may be a different price at your local Costco. Prices & sales dates may change at any time without notice. Photos may not be a perfect representation of the product.